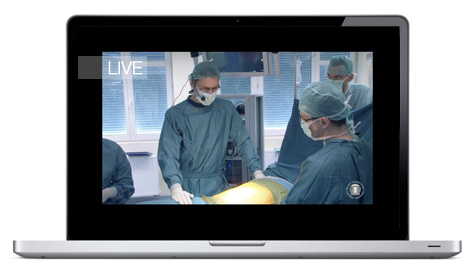 MEDtube offers comprehensive live broadcasts from OR and medical congresses. The service includes: finding physicians, hospital and operating room, substantive and technical organization, streaming, post-production, publication on MEDtube, distribution of invitations and promotion. MEDtube also provides professional webinar solutions. For more information and credentials please contact us directly: info@medtube.net, tel. +48 22 240 22 34.